The constantly evolving Panama City is one of the most culturally diverse and thrilling places in Central America, thanks to its location straddling two continents and Panama’s turbulent history as Latin America’s financial hub. The contrast between the gorgeous colonial old city and the glittering metropolis that has sprouted up in the center makes it a fascinating place to explore. From churches to casinos, there’s enough to keep everyone entertained. When it comes to taking a break from the city, Panama’s subtropical latitude and climate mean that there is a wealth of idyllic destinations within easy reach of the capital. From paradise beaches to monkey-inhabited islands, here are some of the best day trips from Panama City. A tour of the historic site of the San Lorenzo Fort will have you feeling like you’ve stepped into a real-life Pirates of the Caribbean set. Located north of the city of Colón, the fort can be reached in less than two hours from the capital, with a route that provides spectacular views of the countryside before even arriving. 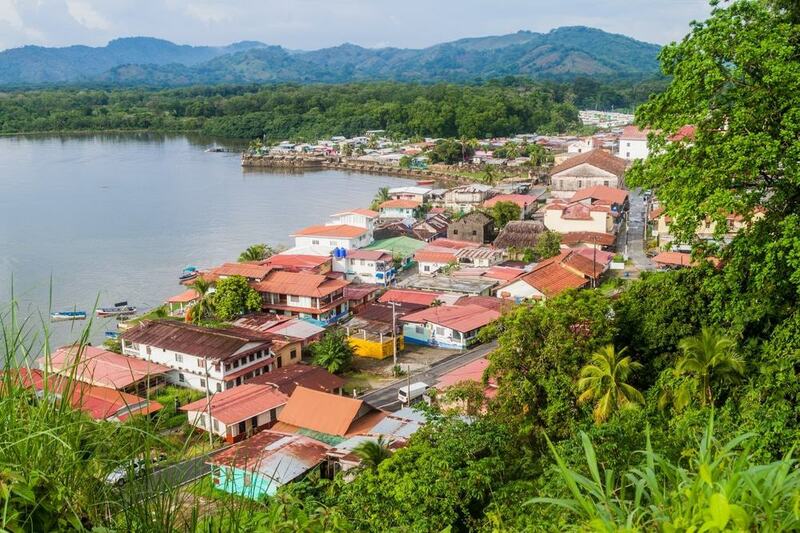 Overlooking the mouth of the Chagres River, San Lorenzo was the site of many battles between pirates and Spanish settlers and has now largely fallen into ruin. However, the fascinating history, preserved walls and tropical surroundings make it a truly breathtaking destination. Colón is one of the oldest cities in Panama, and it combines decadent colonial architecture with the appeal of being a popular tax-free retail haven. 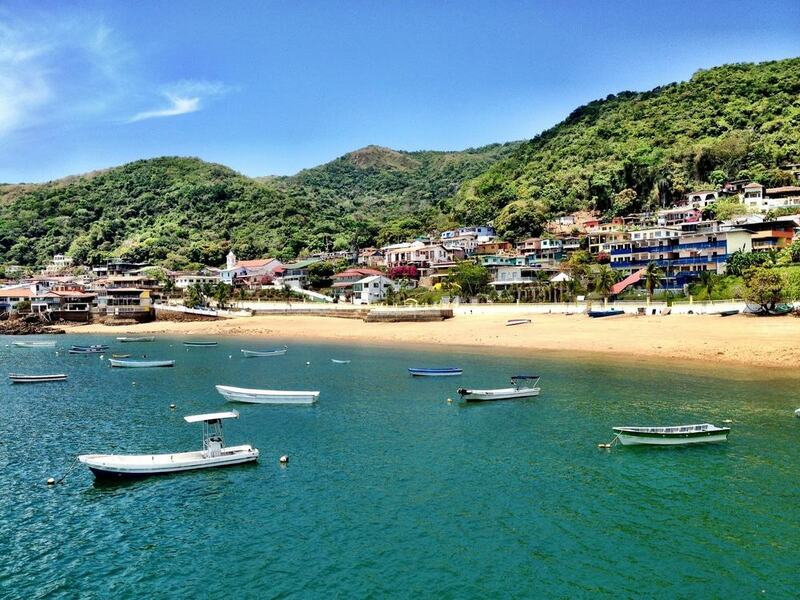 However, a short ferry ride from the city, you’ll find yourself in its beautiful neighbouring rainforest. The gorgeously lush ecosystem is home to an astonishing variety of mammals, reptiles and amphibians and is a world away from the hustle and bustle of Panama City and the materialistic atmosphere of Colón. 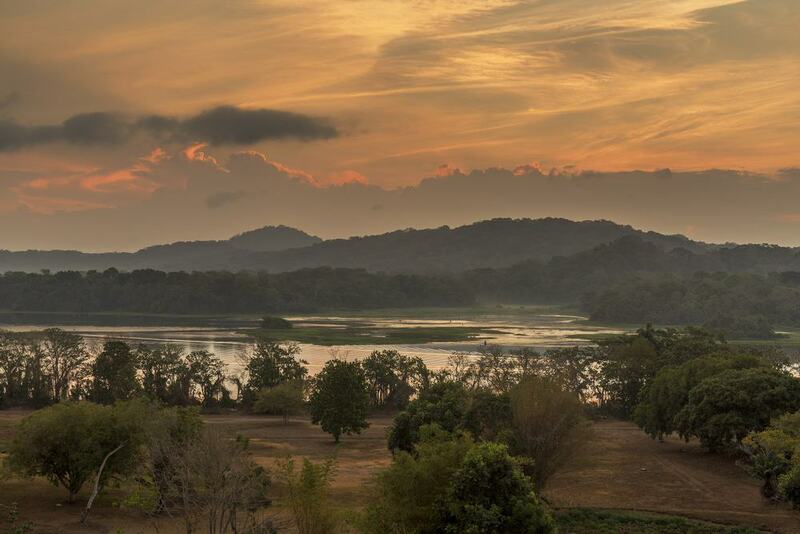 Growing in abundance around the Chagres River and protecting its function as a water source, the Chagres National Park is a place of hidden wonders, indigenous culture and natural beauty. Reachable in an hour from the capital, you can embark on river journeys here, usually aboard traditional canoe-style vessels that carry you through the rainforest and to secret pools and waterfalls. 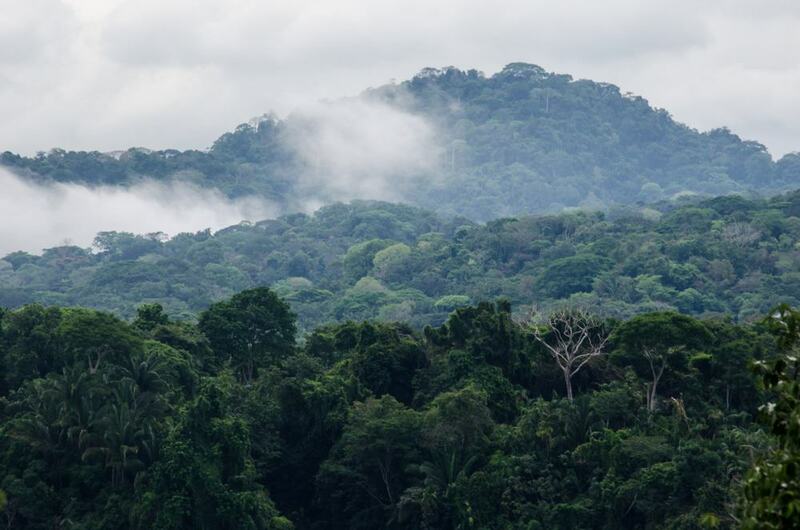 You’ll also get the chance to visit an Embera Village, inhabited by indigenous people who share their history and knowledge of the rainforest with visitors. Between hiking, boat rides and fascinating culture, a trip to Chagres National Park is an unforgettable way to spend the day. Embark on a journey around the islands in the Panama Canal waterway and spend the day cruising between stunningly beautiful slices of nature. 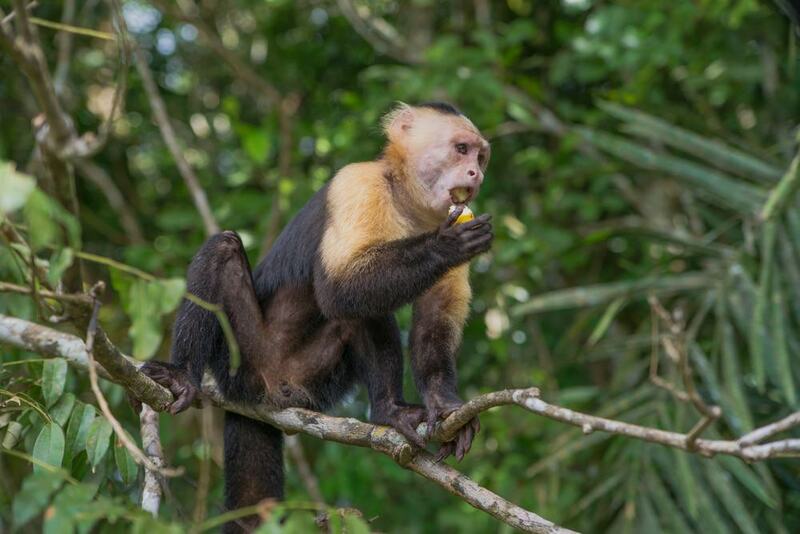 This day trip includes a stop off at the famous Monkey Island, inhabited by incredibly sociable and friendly white-faced monkeys that’ll have no reservations at jumping into the boat to say hello! The beautifully diverse area is also the home of caimans, crocodiles, turtles and an astonishing array of tropical bird species. Be sure to bring your camera along on this close-encounter day trip as it offers some truly unbeatable opportunities to see rare animals in their natural habitat. In only two hours, you can leave the waterways and coastal destinations of Panama City behind and ascend an enormous extinct volcano crater on your way to the mountain town of El Valle. This quaint town is nestled within the crater itself and is home to gorgeous villas, colorful artisan markets and of course, breathtaking views. With so much on offer, from thermal springs to hiking trails, you may be tempted to stay for longer than a day. 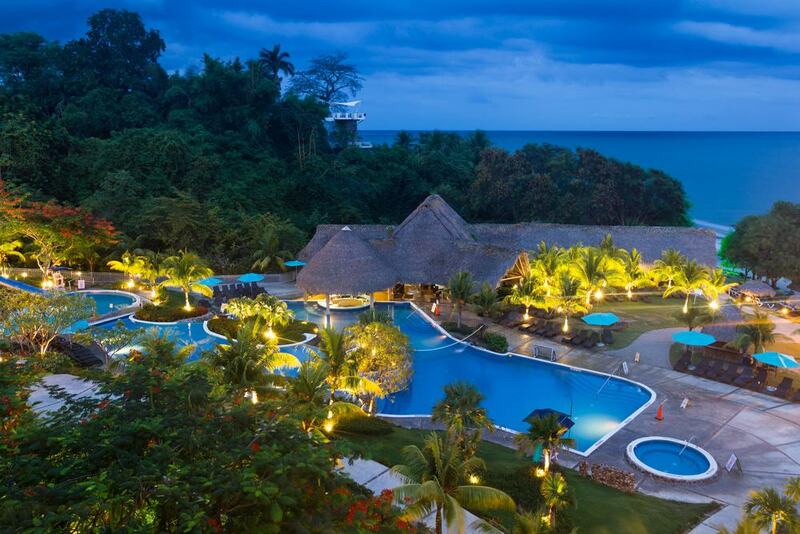 The hotel options here range from luxury to affordable, though if you plan an early departure from Panama City, you can have your fill of El Valle in the space of a day. 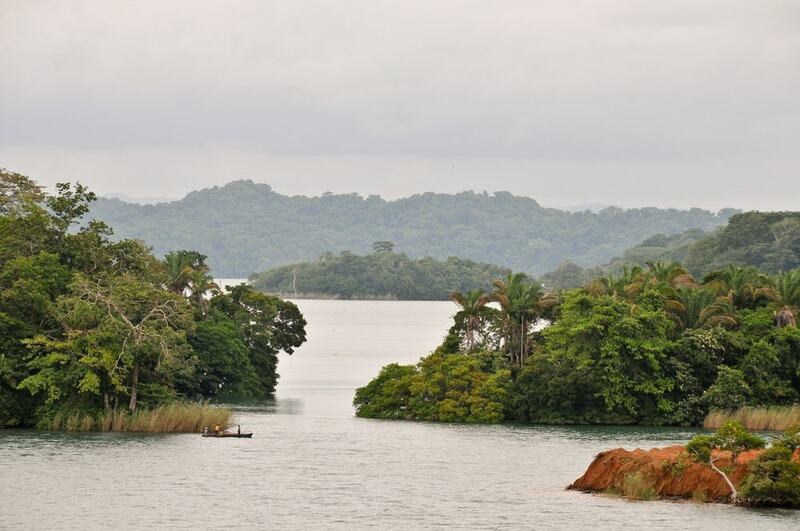 Once the largest artificial lake in the world, Lake Gatun was the first step to making the Panama Canal a reality. 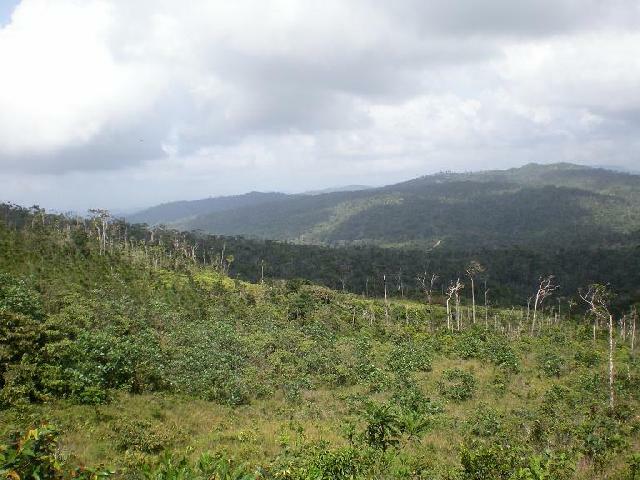 Today, it is one of the most ecologically diverse areas in the whole of Central America and there are a number of tour operators who offer day trips to explore it. Navigating your way by boat around ancient routes and tropical rainforests, you’ll have the chance to spot sloths, iguanas and crocodiles all living in harmony. Be sure to try and arrange a stop off at the floating house in the middle of the huge body of water where you can eat, relax and learn about the lake’s history. With everything from idyllic tropical beaches to UNESCO World Heritage sites, the port city of Portobelo is a gorgeous colonial outpost that was of great historical significance in its time. 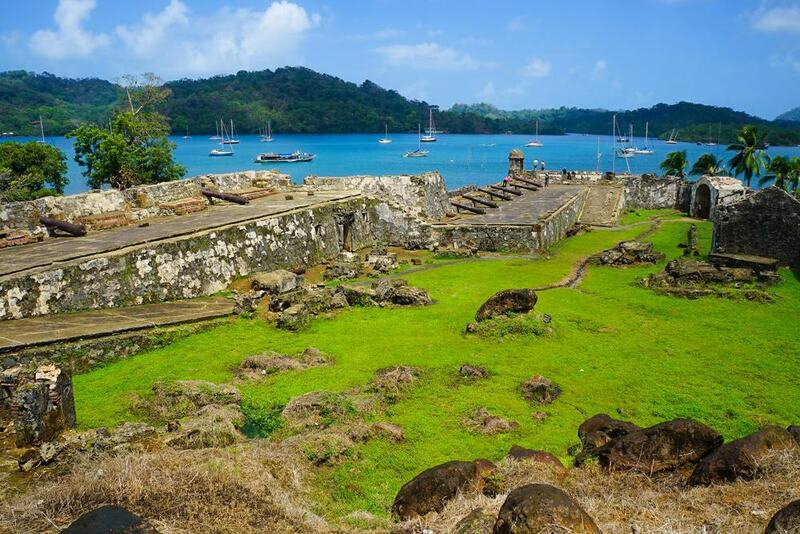 The old fortifications provide a fascinating insight into the strategic importance of the city, while a stone’s throw away you’ll find stunningly beautiful beaches and islands like the postcard-perfect Isla Grande. Enjoy mouthwatering seafood for incredibly reasonable prices and do your best to hang around for the unbeatable sunset. Nestled deep within the Chagres National Park, the Camino Real is an ancient pathway leading through the rainforest. Begin your journey on the shores of Alajuela Lake and make the crossing at the start of a well-preserved section of the path. Here you’ll begin a spellbinding hike through the jungle and gently rolling hillscapes, completely isolated from civilisation and breathtakingly beautiful in their entirety. 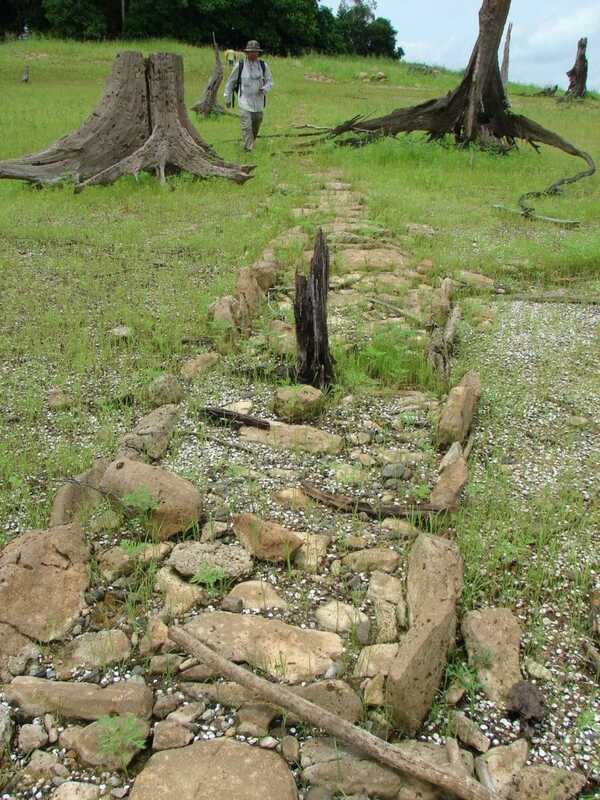 You’ll get the chance to see cobblestone sections of the old path and learn about its significance in the time of pirates and conquistadores. As well as all of this, most tour operators will take you through indigenous villages to meet the people that have lived here for centuries. 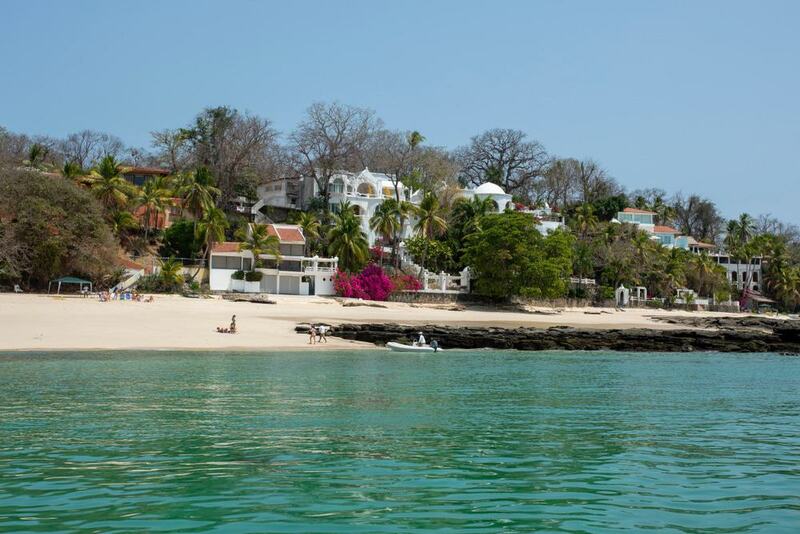 An ex-haven for pirates in the colonial era, Taboga Island is now one of the most popular day trips from Panama City for locals and travelers alike. Only a 30-minute ferry ride from the capital, it’s a gorgeous escape from city life, though be sure to pay a visit on a weekday to evade the weekend crowds. Expect white sandy beaches, a quaint town and some stunning hiking routes. The best of these is a hike up to El Cruce, which affords some of the best views on the island. There’s also no shortage of mouthwatering seafood that can be found in any of the various restaurants. Though the Caribbean coast has the reputation of being home to idyllic beach destinations, the Pacific Coast to the west of Panama City has a few gems of its own. Coronado is a small beach resort city just over an hour away from the capital, which affords visitors the luxuries of carefree days on the beach whilst being close enough to civilisation to not feel isolated. With beautiful white sand beaches and a thriving expat community, you can enjoy paradise here without breaking the bank. 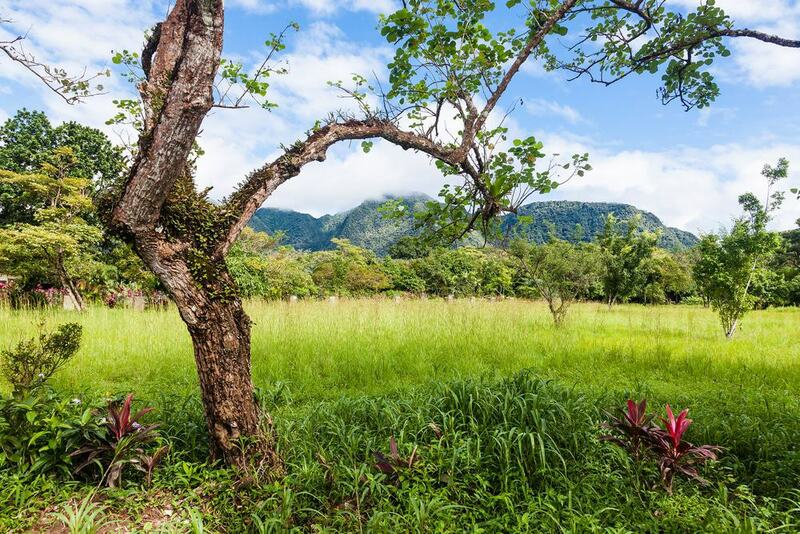 Literally translating into “Blue Mountain”, the Cerro Azul is a wonderfully unique mountainous region on the outskirts of Panama City that offers a break from city life for those who don’t want to spend every day on the beach. Characterised by spellbinding waterfalls, lakes and an abundance of world-class hiking trails, the Cerro Azul has an unmistakable tranquil quality that attracts visitors and locals all year round. Be sure to pack accordingly as the temperature here is a lot cooler than on the coast. Part of the Islas Perlas (“Pearl Islands”) that are all well worth a visit if you’re looking for postcard Caribbean beaches, Contadora Island is the most popular. In under two hours, you can leave the skyscrapers of the capital behind and find yourself in the rugged allure of this beautiful archipelago. With a fairly exclusive vibe, Contadora is the place for boutique hotels, world-class restaurants and of course, plenty of exploring the relatively untouched island. The Cajones de Chame makes for a perfect combination of adventure and wild natural beauty, all within easy reach of Panama City. 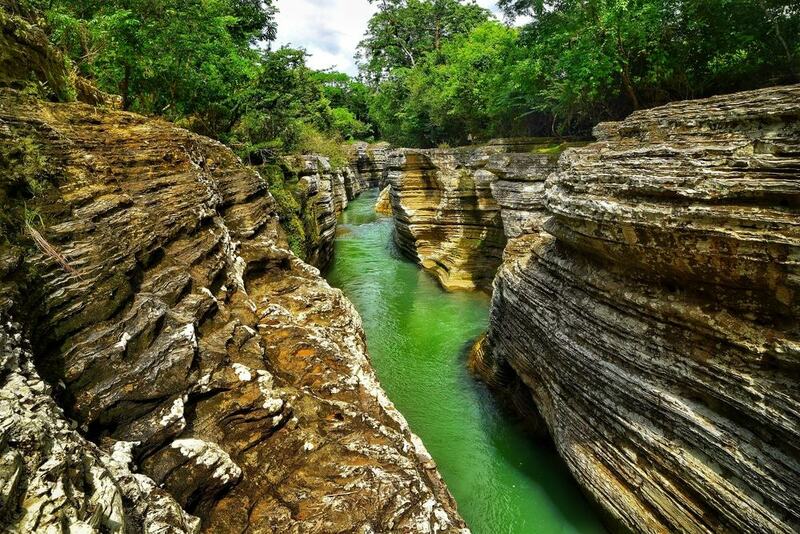 The naturally formed river canyon is part of the Chame River and is made up of sections of scalable walls and cliffs that you can scramble around and dive off into the river. A favourite amongst travelers looking for an adrenaline rush, as well as locals who come to spend the day in the gorgeous surroundings, the Cajones de Chame is growing in popularity by the day. Playa Veracruz is one of Panama City’s nearby urban beach communities, not too far removed from the city but far enough to enjoy the open space that comes with beachfront destinations. The beach itself is wide and sandy, perfect for taking a long stroll, and there are plenty of restaurants to choose from once you’ve worked up an appetite. 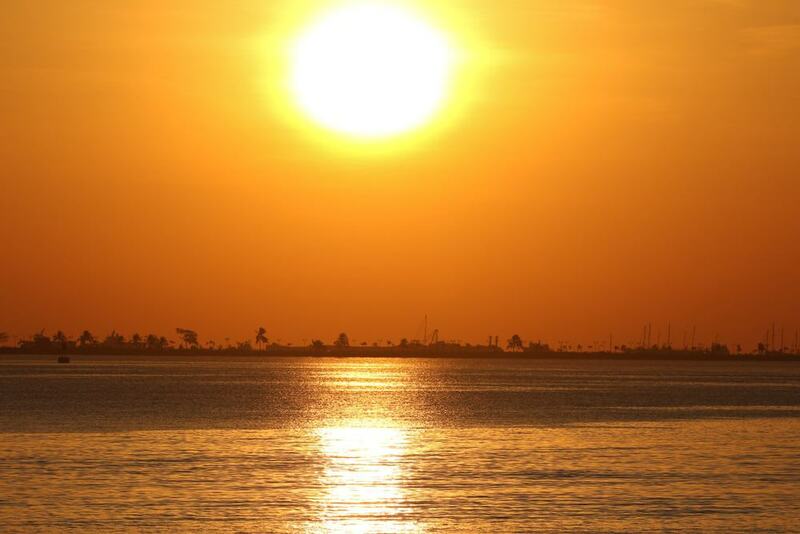 If you’re tired of the views of the Panama Canal, then Playa Veracruz is your best bet. At 800 meters above sea level, the Laguna de San Carlos is a forgotten geological formation far removed from postcard beaches and waterfront cities. The mountain lagoon is nestled in a valley and features crystal clear water that visitors like to kayak, swim and paddleboard in. 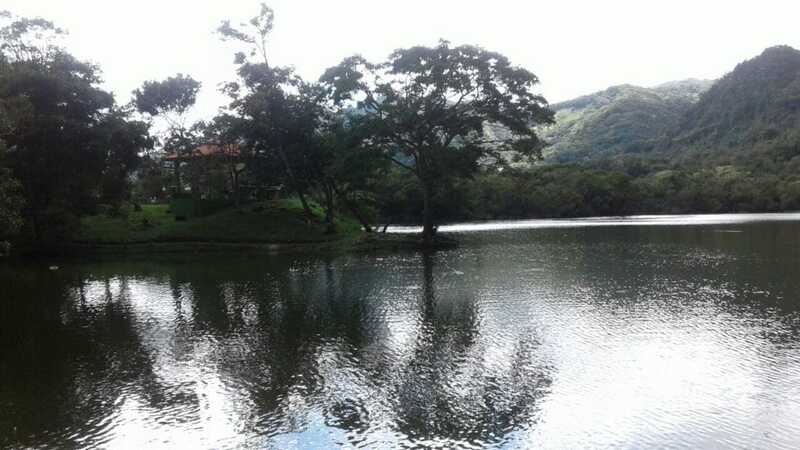 If you’re looking for a quiet day trip high up amongst the crisp mountain air and green valleys of Panama, then make the two-hour journey to the Laguna de San Carlos.